We all know networking has the potential to dramatically enhance our careers; making new connections can introduce us to valuable new information, job opportunities, and more. But despite that fact, many of us are doing it wrong — and I don’t just mean the banal error of trading business cards at a corporate function and not following up properly. Many executives, even when they desperately want to cultivate a new contact, aren’t sure how to get noticed and make the right impression. I’ve certainly been there. Years ago, I was a speaker at a tech conference — as was a bestselling author. By chance, we met in the speakers lounge and, massively unprepared, I fell back on platitudes. It’s great to meet you! I love your work! I handed him my card. If you’re ever in Boston, it’d be a pleasure to meet up! He hasn’t called, and frankly, I’m not surprised. We’re all busy, but it’s hard to imagine the volume of requests that well-known leaders receive. Reputation.com founder and fellow blogger Michael Fertik told me he receives anywhere from 500-1000 emails per day, and describes it as “a huge tax on my life.” Wharton professor Adam Grant, who was profiled by the New York Times for his mensch-like habit of doing almost anyone a “five minute favor” was rewarded for his generosity by being inundated with 3500 emails from strangers hitting him up. “I underestimated how many people read the New York Times,” he jokes. Grant does get back to the people who write him — he even had to hire an assistant to help — but most people at the top don’t have the time management skills (or the desire) to pull that off. If you want to network successfully with high-level professionals, you have to inspire them to want to connect with you. Through hard-won experience, I’ve learned some of the key mistakes aspiring networkers make in their quest to build relationships, and how to avoid them. Misunderstanding the pecking order. The “rules” for networking with peers are pretty straightforward: follow up promptly, connect with them on LinkedIn, offer to buy them coffee or lunch. I’ve had great success with this when reaching out to people I had an equal connection to: we’re both bloggers for the same publication, or serve on a charity committee together, for example. People want to congregate with their peers to trade ideas and experiences; your similarity alone is enough reason for them to want to meet you. But the harsh truth is those rules don’t work for people who are above you in status. The bestselling author at the tech conference had no idea who I was, and no reason to. My book hadn’t yet been released, and his had sold hundreds of thousands of copies; he was keynoting the entire conference, and I was running a much smaller concurrent session. We make mistakes when we fail to grasp the power dynamics of a situation. It would be nice if Richard Branson or Bill Gates wanted to hang out with me “just because,” but that’s unlikely. If I’m going to connect with someone far better known than I am, I need to give them a very good reason. Asking to receive before you give. You may have plenty of time to have coffee with strangers or offer them advice. Someone who receives 1000 emails a day does not. Asking for their time, in and of itself, is an imposition unless you can offer them some benefit upfront. Canadian social media consultant Debbie Horovitch managed to build relationships with business celebrities like Guy Kawasaki and Mike Michalowicz by inviting them to be interviewed for her series of Google+ Hangouts focused on how to become a business author. Instead of asking them for “an hour of their time” to get advice on writing a book, she exposed them to a broader audience and created content that’s permanently available online. Failing to specifically state your value proposition. Top professionals don’t have time to weed through all the requests they get to figure out which are dross and which are gold. You have to be very explicit, very quickly, about how you can help. My incredibly weak “Let’s meet up in Boston!” isn’t going to cut it. Instead, you need to show you’re familiar with the person’s work and have thought carefully about how you can help them, not the other way around. Tim Ferriss of The 4-Hour Workweek fame blogs about how his former intern Charlie Hoehn won him over with a detailed pitch, including Charlie’s self-created job description touting his ability to help create a promotional video for Ferriss and an online “micro-network” for fans of his books. 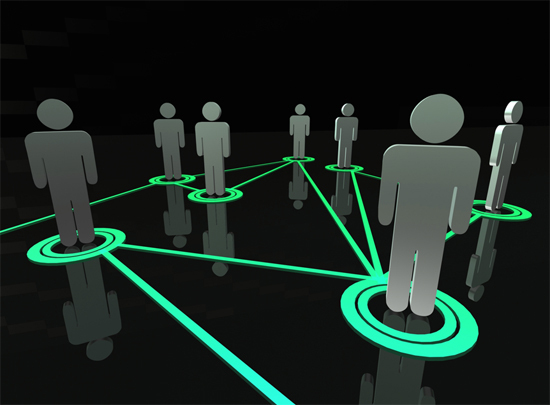 Networking is possibly the most valuable professional activity we can undertake. But too often, we’re inadvertently sabotaging our own best efforts by misreading power dynamics, failing to give first, and not making our value proposition clear. Fixing those crucial flaws can help us connect with the people we want and need to meet to develop our careers.